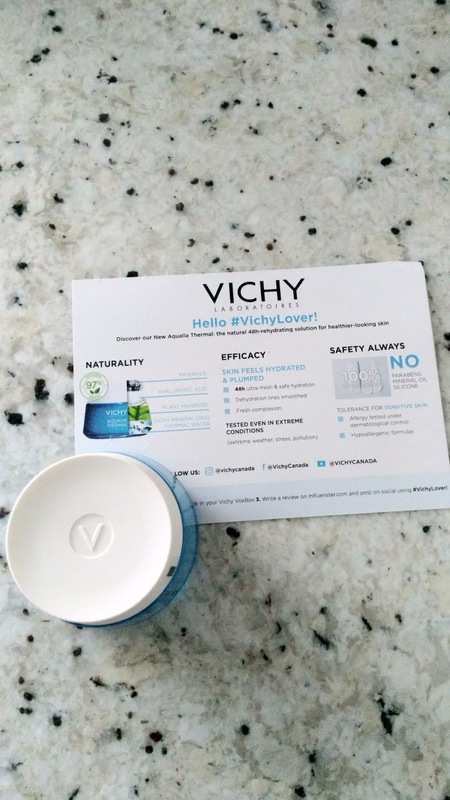 I was lucky enough to be sent this Vichy cream to try. 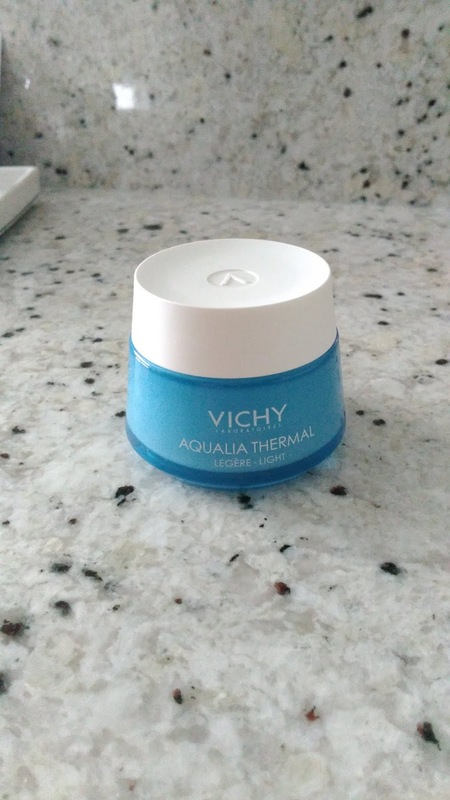 Vichy products have been a part of my skincare routine for a few years now and I was thrilled to try a product from their Aqualia Thermal range. I actually bought the gel moisturiser in this range last year and love it. * Paraben, oil and silicone free. Calgary has such a dry climate which can be quite harsh on my skin. 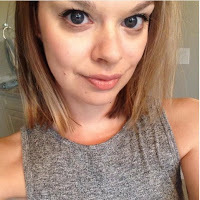 I am always on the hunt for products which promise hydration and plumped up skin. I have especially been loving products with hyaluronic acid (which this has) and really helps boost my skin's appearance. As mentioned above, I have been using the gel version of this moisturiser up until I was sent the light cream to try. At first touch, the cream felt much thicker and I was concerned that it might make my skin oily. No need to be concerned, though. This cream is an absolute dream. Very little goes a long way and it sinks in fast. As soon as it sank in, my skin felt a million times more smooth and that is no exaggeration. It felt amazing. I have continued using this moisturiser and my skin is looking really healthy and radiant. This moisturiser is light enough to use in the morning. Just make sure you also wear an SPF as there isn't one included. Have you tried any Vichy products? Check out my post about the importance of SPF here! In February, I shared my Spotify playlist for that month and I thought I would do the same for March. Making a monthly playlist is fun and so far I have found so many great new artists to listen to! I don't know about you but I love discovering new music. I thought I would share my February playlist with you. It features some old favourites and some new. You can preview the songs using the Spotify widget below and if you want, follow my playlist by opening Spotify's web player. What music have you been enjoying recently?